Mother’s Day is around the corner—which means it’s time to find the perfect gift for the mom in your life. But honestly, there’s always so much pressure on getting it just right. Plus, she’s probably told you time and time again that “you don’t have to get me anything.” Well, we all know that’s probably not true and we recommend you don’t come empty-handed. Best present advice? Keep it thoughtful and personal. Extra bonus points if it’s something with longevity. Luckily, we’ve found just the thing. It’s called Easy Canvas Prints, and we’re positive she’ll love it. Get 85% off your purchase! Ever taken a photo and wished you could stretch it out and hang it on your wall? Like you knew a simple 8”x10” frame wouldn’t cut it? Well, we think there’s no better way to show mom you care than with a blown-up, canvas-stretched photo of, let’s say, the two of you. Easy Canvas Prints helps you create those custom canvas prints directly from the photos you take. Crafted with love right in the city of Austin, Texas, their easy-to-use canvas prints designer helps you turn your very own image into a beautiful work of art. And, shipping is fast. After you place your order, Easy Print Canvas aims to ship your new piece within two to 15 days. While we wouldn’t recommend this as a too last minute Mom’s Day gift, you’ll have plenty of time to get it if you order it now. 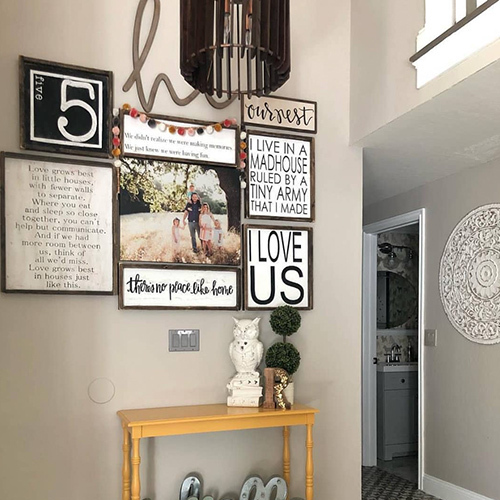 The name has “easy” in it for a reason: the website (easycanvasprints.com) offers a very simple, step-by-step process for ordering your perfect canvas. After you upload your photo and select a few personalized options, the canvas print is printed and stretched in-house by canvas professionals, ready to be hung or displayed with a classic semi-gloss finish. Here’s a quick rundown on pricing, and with this coupon for 85 percent off your next purchase, you’ll be shocked at how little you’ll spend on something so memorable. First, pick your product. 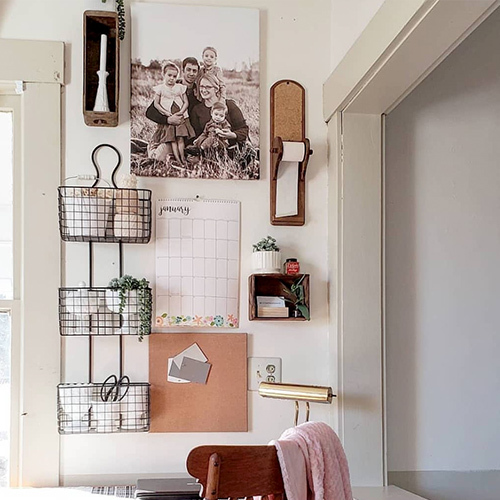 Easy Canvas gives you three options—standard canvas prints, wall display, and collages. If you want single picture blown up, this is for you. Choose from a wide variety of premade size options (from 8”x8” to 30”x40”) or custom choose your dimensions (all the way up to 60 inches). Here’s your chance to have three or more canvases into a striking wall feature. Pick anywhere from three to nine canvases on display from 16”x40” to 60”x74”. Mix and match a collection of your favorite photos together on one canvas collage. Select your size (from 12”x12” to 30”x40”) and choose from a number of templates to display up to nine photos. After you’ve chosen the right canvas for you, you’ll upload your picture from your computer or directly from Facebook (PNG, JPG, GIF, BMP, and TIF files accepted). An animated living room will display your canvas on the wall, giving you a rough idea of how it’ll fit next to a couch or shelf. If you’re curious how a larger or smaller canvas will look, simply choose a different size and the living room will transform with the new canvas. Pretty easy! Plus, it gives the option to crop your image—perfect for removing any access space, or perhaps even an accidental finger obscuring your photo. Once you’ve found your ideal size, you’ll pick your Canvas Depth (included Standard Wrap or a $5.63 additional charge for a highly recommended Gallery Wrap); Framing Options (a range from black to Brazilian Barnwood with a fairly inexpensive $34.99 charge); and Display Options (included Open Back, a $4.88 Dust Cover to increase your canvas’ longevity, and a Canvas Stand for $1.80). You can also select a border for your image, or color effects (black and white or sepia) for no additional costs. Lastly, pick your hanging option—a wall mount for $1.99 or the more popular hanging system for $4.99. Need any help? Easy Canvas Prints pride themselves on their award-winning customer service, either through their online chat service or by calling 1-877-858-4586. The options for what to print are endless, so here are a few ideas to get you started. I personally would rename it "Easy and Stunning Canvas!" 1. The canvases are extremely durable, and resist most scratches, smudges, and fingerprints. But, you can dust the canvases with a soft, dry cloth. 2. Shipping boxes are specifically designed to protect your canvas, which come in a plastic bag to keep moisture out—held securely in the center of the box—or shrink wrapped to a pad. 3. Canvases are only intended for indoor use, and will resist fading if kept out of direct sunlight.